Veera goes to meet Baldev at night. Baldev is very hurt, as Rajveer has beaten him a lot in the lockup. Veera is stunned seeing him in so much pain. She reaches the temple to show her trust is strong for him. They have a hug, and Baldev is glad that Veera did not lose trust on him. She decides that she will marry him, and they get a pandit, who makes the marriage possible. They take the seven rounds, and Baldev finds it tough to walk in the rounds being very hurt. They do the marriage by all rituals, and she cries as she does not have her family support, and never wanted to marry without Ranvi’s consent. She married Baldev to save him from the blame of Nihaal’s murder. Veera comes home after marrying Baldev, and gives a big shock to the family. She says she married Baldev. 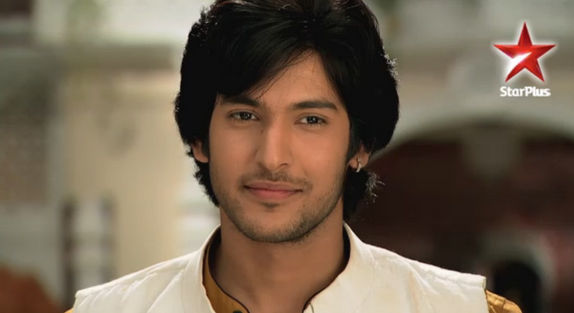 Ranvi breaks all relations with Veera and cries. He raises hand to slap Baldev, and Veera comes in between. Veera stops Ranvi from giving statement against her husband Baldev. What will Ranvi’s do now? Veera is determined to find the real culprit. Rajveer thinks he did not leave any clue at the murder location, but he does not know that Nihaal has pulled out his jacket button while they fought, and it fell at that place. Rajveer fools Ranvi more by lying and showing some injured man whom Baldev has beaten. He makes the wrong impression in Ranvi’s mind. Veera does not believe anything and is adamant and goes to find some clues to prove Baldev’s innocent. She safeguards Baldev’s name and asks Ranvi and her family not to make same mistake of doubting on Baldev. Veera takes Jaggi and Billa’s help to find the culprit, and is very upset about Nihaal’s death. How will Ratan bear the loss of Nihaal, with whom she was about to marry? Keep reading.